I have a long history with chocolate. It’s a love hate relationship. I love it. It hates my diet. I grew up with my mom, a true chocoholic…and my best friend, who used to sneak entire tubs of fudge icing into the attic with me, where we’d eat them with 2 spoons. Chocolate is part of who I am. It’s one of those “necessary evil’s” I’ve come to accept in life. There will be chocolate, and I can either hold out for cheat day, or I can find a way to do it without breaking the calorie bank. So, that’s what I did. 1. Mix sugar and splenda together, and divide mixture in half. 2. In a medium mixing bowl, mix 1/2 the sugar mixture, butter, 1/4 cup water, and egg yolk. Wisk until smooth. 3. 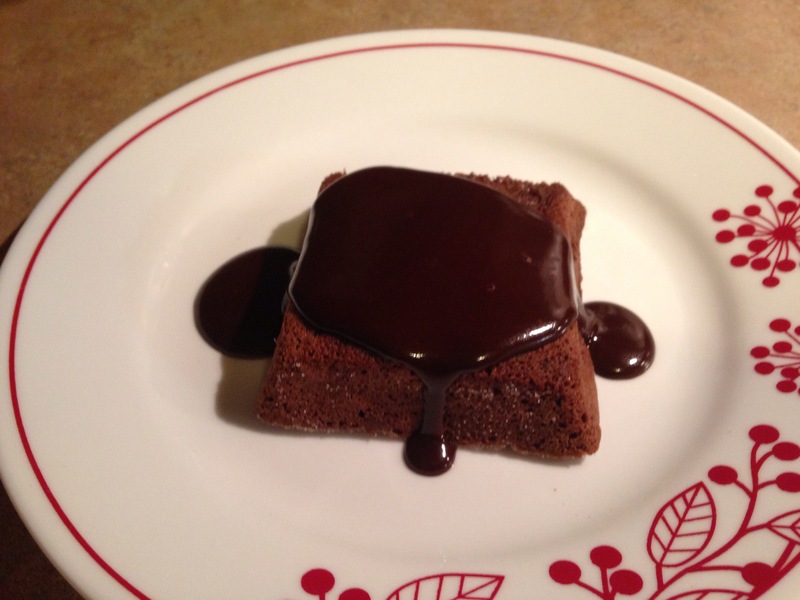 In a small bowl, mix flour, corn starch, salt, and cocoa powder. Stir all ingredients together, and then wisk into yolk mixture until smooth. 4. In a small bowl, beat egg whites, adding remaining sugar mixture, until stiff peaks form. 5. Fold about half of egg white mixture into sugar and yolk and flour mixture in medium bowl. Then mix remaining whites into the bowl, stirring lightly until all ingredients are incorporated into batter. 6. Spray the insides of 3 individual ramekins or souffle dishes with nonstick cooking spray (i used square dishes, about 3 1/2 inches by 3 1/2 inches). 7. Distribute batter evenly among the 3 dishes. 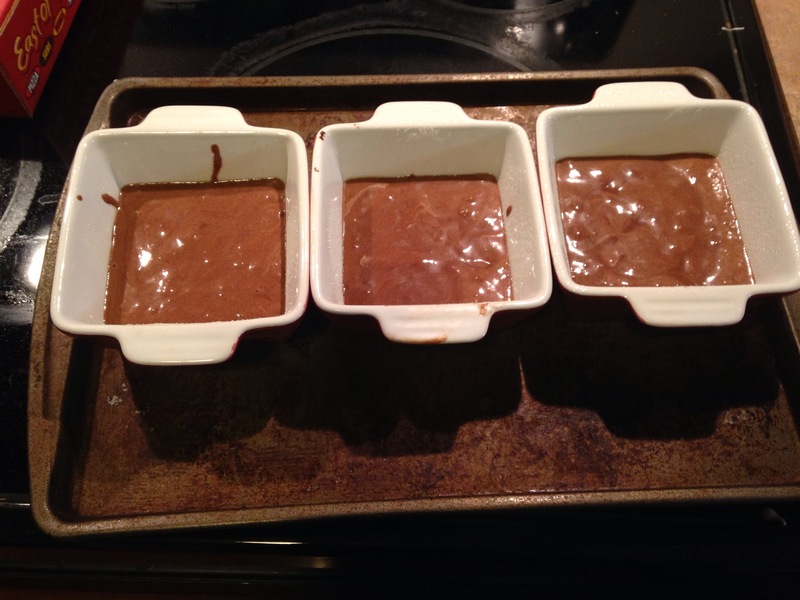 Each one should get about 1/2 cup of batter. 9. Set Souffle dishes on a baking sheet, and bake at 350 for 20 min. In a small pan, on medium heat, melt butter. Add sugar, cocoa, flour and water. Wisk all ingredients together, and heat on medium heat until thickened, stirring constantly. 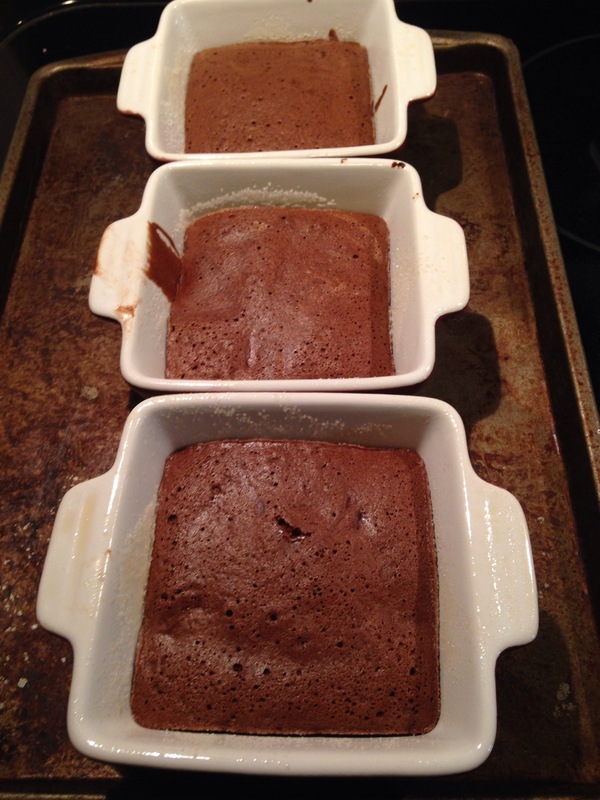 Once it begins to thicken, remove from heat for about 2 minutes before dividing over tops of cakes. 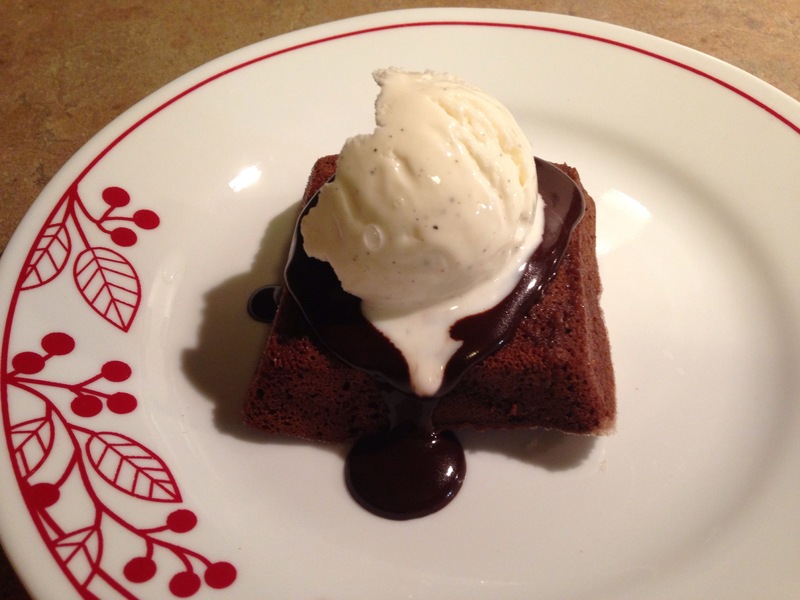 * I went a little extra crazy with these and added 1/2 a scoop of double churn ice cream, which added 55 calories. Ice cream is not included in the calculated calories above. A coworker recently brought me a recipe she had found for a crockpot lasagna. Naturally I was inclined to take it and use it to experiment on a low cal version. Lasagna is a dish I love to make, but it’s time intensive. This recipe still requires some prep time, but I can do it the night before and just have my husband pop it in to cook. 1. Sauté beef, sausage, onions and garlic together in a skillet, breaking up meat until it’s all cooked through. 2. Add tomatoes (don’t drain them), prego, water, salt and garlic powder to the skillet and mix until all ingredients are incorporated. 3. In a separate bowl mix ricotta, egg whites, oregano, and basil. 4. Line the inside of your crockpot with aluminum foil. I used one large piece going longways, and one long piece going too to bottom. Press foil down to conform to the shape of the crockpot. Spray with nonstick spray. 5. Pour 1 1/2 cups of sauce mixture in crock and spread evenly across the bottom. 6. Use 3 noodles and lay them side by side across bottom of crock, longways. They’re too long for the crockpot so you’ll need to break the end off to make them fit. Lay the middle noodle down first. The edge noodles may overlap the middle noodle which is fine. 7. Spread 1/2 of ricotta mixture evenly over the noodles. 8. Spread 2 cups of sauce mixture over ricotta. 9. Repeat steps 6-8. Noodles. Ricotta. Sauce. 10. 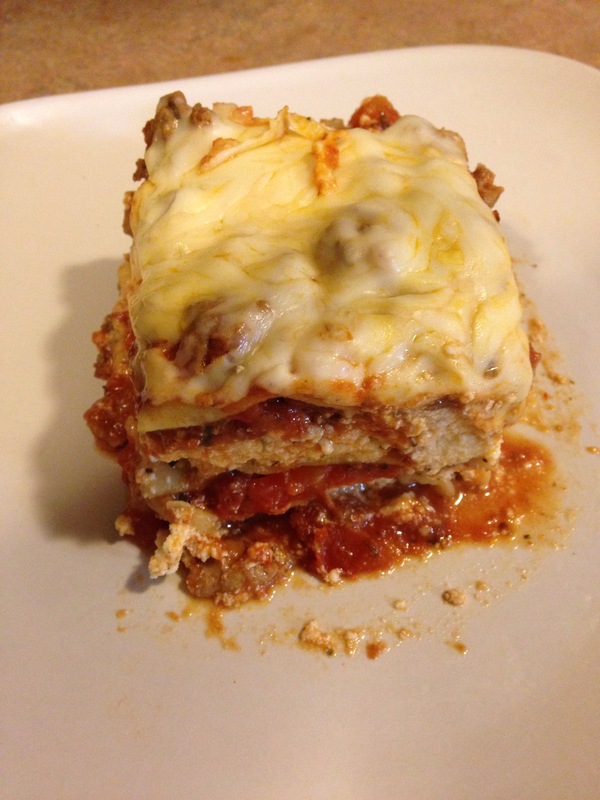 For the The last layer of your lasagna, arrange noodles, too with remaining sauce, and mozzarella cheese. 11. Place lid on crockpot and cook on low about 3 1/2 to 4 hours. 12. 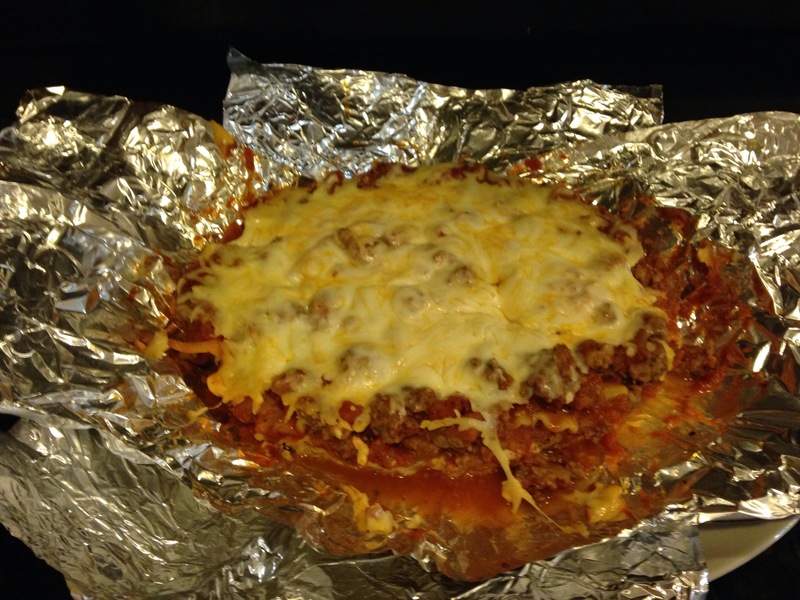 Use aluminum edges to carefully remove lasagna and foil from the crockpot. Set the foil and lasagna on a platter and allow to cool 15-20 min. 13. Peel aluminum edges away and slice and serve your lasagna. 1. Salt and pepper both sides of your chops. 2. Melt butter over medium heat in a large skillet. 3. Place chops in the pan and cook about 4 min on each side. 4. Remove chops to a separate plate. 5. Add mushrooms, onions, rosemary, and a little broth to the pan. Sauté about 5 min, and sprinkle with flour. 6. Stir flour around, incorporating it into mushrooms and onions. Add remaining broth and wine. Stir until Lumps disappear. 7. 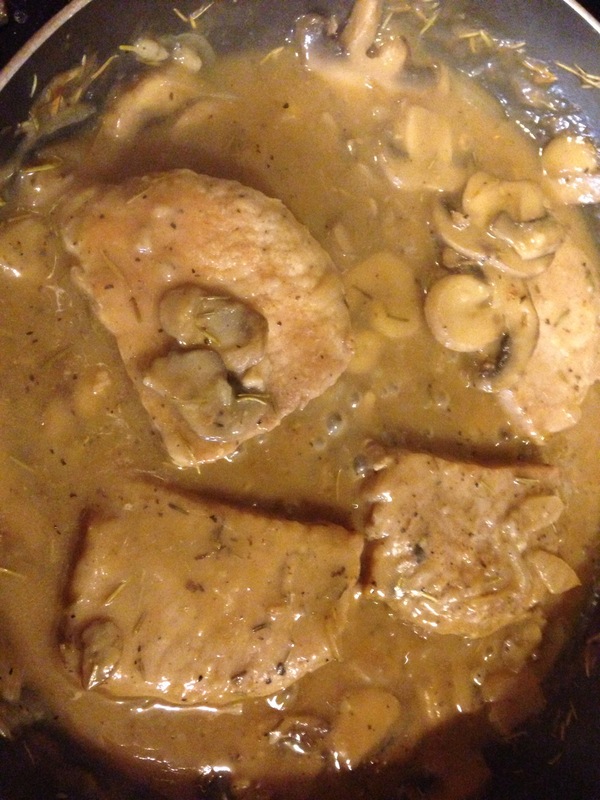 Replace chops back into the pan with mushroom mixture. Cover pan with lid and summer 10 min. 8. Uncover and cook 5 more minutes until sauce begins to thicken a bit. 9. Allow to cool 5 min. This is your basic tuna sandwich, with a few substitutions to bring down the calorie count and up the flavor. My memories of tuna sandwiches are based on a slightly sweet variety of tuna salad, which is what this recipe is based on. It tastes just like my Granny’s and my Moms. If you prefer a more savory version, you can sub fat free mayo and dill relish for great results and about 5 calories less per serving. 1. 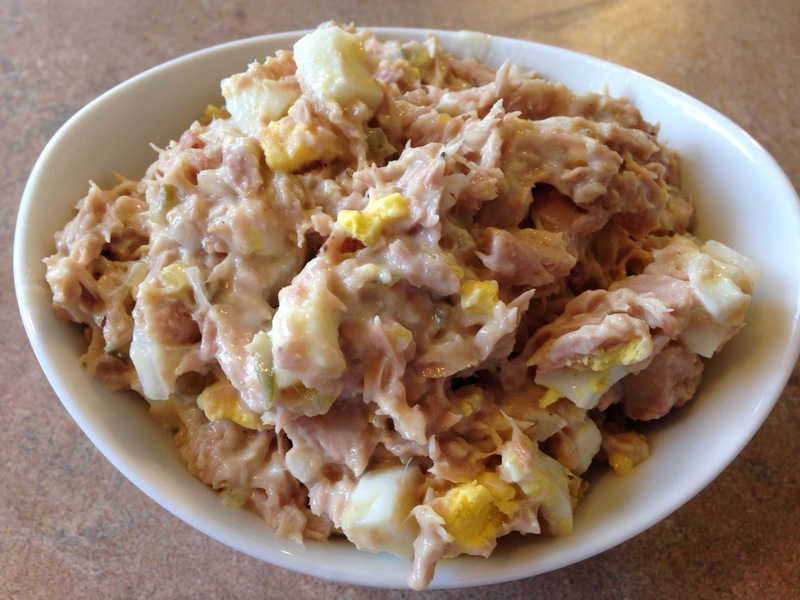 Drain tuna and mix in a bowl with all other ingredients. editors Note: Serve with 2 slices of 35 calorie bread for a 140 calorie sandwich! 1. Mix Sauerkraut and chicken broth in a crock pot. 2. Salt and pepper pork chops, and add to crock pot, on top of sauerkraut mixture. 3. Cook on low 5-7 hours. 4. 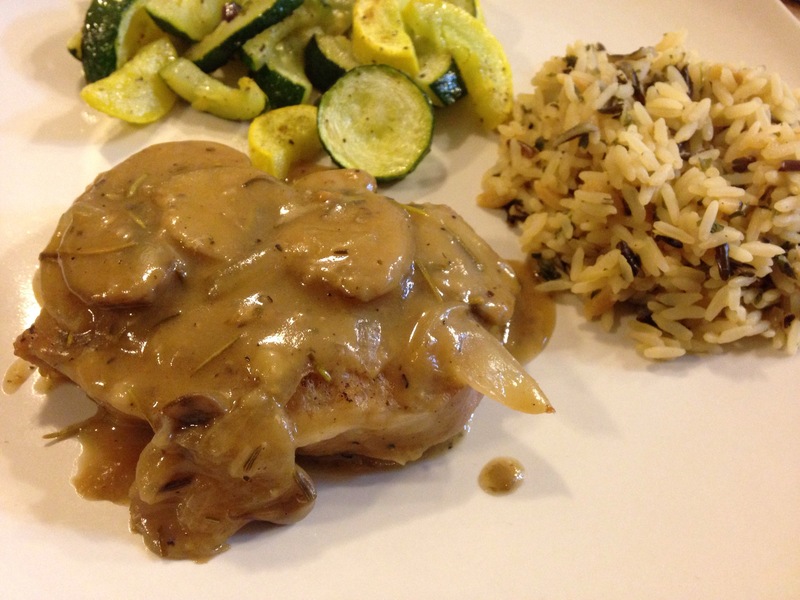 Remove pork from crockpot. Pour sauerkraut mixture into a large pan (with lid) and place on the stove, on medium heat until nearly boiling. 5. Mix bisquick and milk in a bowl. 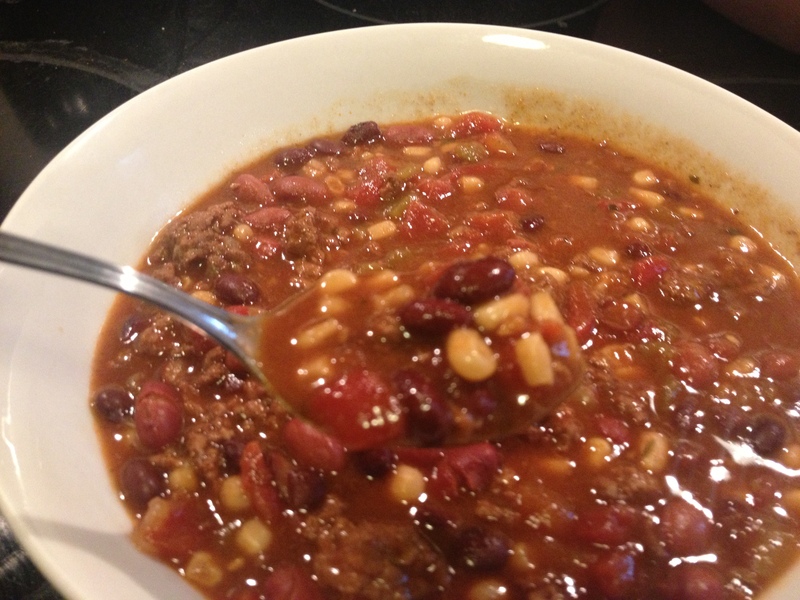 Divide mixture evenly into 4 segments, and use a spoon to drop each one into the pot. 6. Allow dumplings to cook for 10 minutes uncovered. Cover with lid and continue cooking and additional 10 minutes. 7. 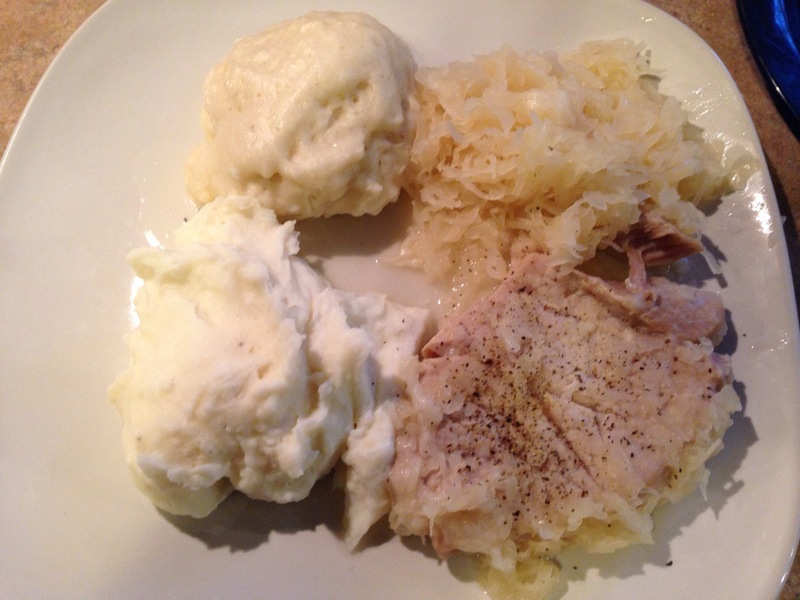 Serve Pork with 1 dumpling, and 1/4 remaining sauerkraut.